Philip Gourevitch has 2 media appearances. Philip Gourevitch discusses We Wish to Inform You That Tomorrow We Will be Killed With Our Families: Stories from Rwanda. Philip Gourevitch reads from The Paris Review Interviews: v. 3. Philip Gourevitch, Standard Operating Proceedure. ; Philippe Sands, Torture Team. Philip Gourevitch discusses Standard Operating Procedure. Philip Gourevitch reads from Standard Operating Procedure. 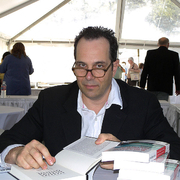 Philip Gourevitch is currently considered a "single author." If one or more works are by a distinct, homonymous authors, go ahead and split the author. Philip Gourevitch is composed of 3 names. You can examine and separate out names.